Origin Spearmint is native to Europe and Asia (Himalayas, Middle east and China). It is naturalized in parts of Western and Northern Africa, South America and North America. Spearmint oil is extracted with the steam distillation process of floral parts of Spearmint plant or Mentha Spicata. It possesses refreshing and minty characteristics of peppermint which is also used in aromatherapy. This oil has less menthol. It is used to treat fatigue, headache and oral health. It possess the chemical constituents such as Carvone, Menthone, Limonene, cis-carveol, Dihydra carvone, 1,8-cineole (Eucalyptol) and Linalool. It possesses the medicinal properties such as antibacterial, antiseptic, anti-fungal, anti-inflammatory, antidepressant and digestive properties. This oil is blended with benzoin, basil, jasmine, eucalyptus, lemon, lavender, peppermint, orange and rosemary. Since Roman times, Spearmint has been used as an aromatic herb that is also found in European cuisines. It is inherent Central Europe which could be found in North America that has been introduced in late 1500’s by the earliest immigrants. It was used to treat and prevent scurvy as it possesses high content of Vitamin C. It has got an interesting history in Europe that Pluto’s wife was jealous of Minthes which is a young nymph and turned her into a plant. She was not able to bring her back so gave her a delightful aroma. Spearmint oil possesses antispasmodic, antiseptic, cephalic, carminative, insecticide, emenagogue, cephalic, stimulant and restorative properties. Though it possesses a similar aroma of Peppermint oil, it has low content of methanol in comparison to Peppermint oil. Spearmint was used as an aid for vomiting, menstrual cramps, indigestion and flatulence. 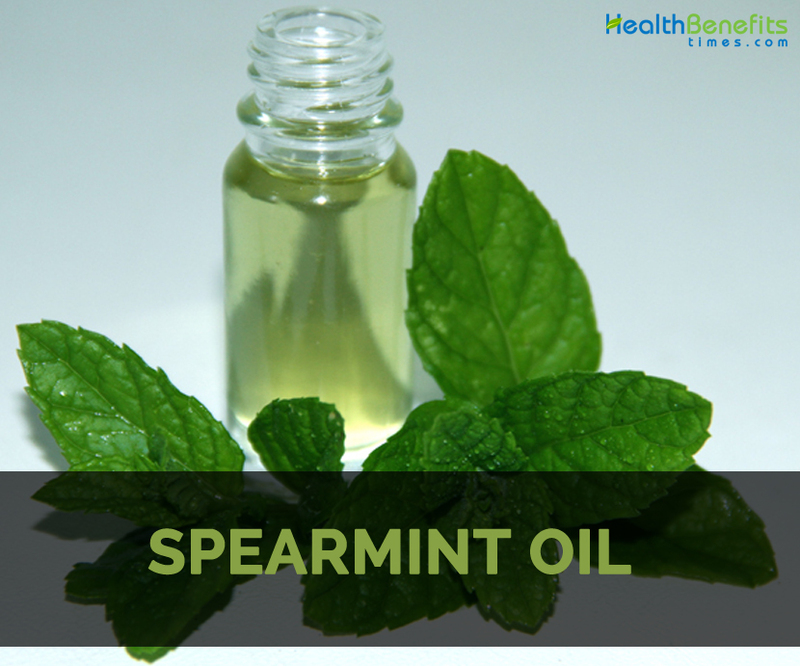 Spearmint oil acts as an antiseptic for ulcers and wounds that prevents it from infections and being septic. It also assists the healing process of wounds. Myrcene, Menthol and Caryohyllene are the components which act as antiseptic properties. Spearmint essential oil has menthol content which provides a cooling and relaxing effect on the muscles and nerves. It helps to relax spasms and calms down its contractions. It provides relief from aches, spasmodic coughs, aches and pulling sensations in intestines and abdominal regions. It is able to soothe cramps, muscle strains, spasmodic cholera and nervous convulsions. Spearmint essential oil possesses disinfectant properties that provide relief from both external and internal infections. It prevents ulcers and wounds in stomach, intestines and food pipe. It is also used to treat infections such as dermatitis, scabies, syphilis, athlete’s foot and gonorrhea. It relaxes muscles and intestines of abdominal region that prevents the formation of gases in intestines and stomach. It provides relief from restlessness, uneasiness, headaches, insomnia, indigestion, stomachaches, vomiting, chest pain, loss of appetite and cramps. Spearmint oil has cooling and relaxing effect on brain that eliminates stress on the cognitive health. It assists in concentration and cures headaches and neural problems. It assists overall health and protects brain health. This essential oil is helpful for the people having irregular periods, menstrual problems, early menopause and obstructed menses. It enhances the hormone secretion such as estrogen that facilitates menstruation and promotes sexual health and good uterine. It slows down the onset of menopause and provides relief from fatigue, nausea and pain in lower abdominal region. Spearmint oil enhances the hormone secretion and discharge of gastric juices, enzymes and bile and promotes blood circulation. It strengthens immune health by stimulating blood circulation and enhances immunity and removes toxins. It restores health and assist in functions of organ systems of the body. It repairs the damage and speeds up the recovery of wounds and injuries. It regains strength after long bouts of illness. This oil prevents the mosquito bites and is used in mosquito repellant creams, fumigants and mats. It helps to stimulate digestion and lowers stomach upset. It enhances focus and also uplift mood. It promotes fresh breath and cleans mouth. Use it in a diffuser to uplift mood. It is used as a treatment for skin ailments, digestive problems and headaches. If added to baths, it helps to treat sexually transmitted diseases. It heals mouth sores and whitens teeth. It also treats nausea and menstrual problems. It is used in aromatherapy to prevent headaches, fatigue, nervousness and migraines. It promotes relaxation and lowers body temperature. It helps to calm down muscle spasms and nerves. It promotes brain and nerves function. It provides relief from respiratory problems such as nasal congestion, colds, flu and asthma. For mouthwash, gargle by adding few drops of Spearmint oil to a glass of water. It could be used in a steam inhalation. It prevents infection in intestines and stomach. It prevent stress and cures headaches. For massage, dilute Spearmint oil with sunflower oil or almond oil. It provides relief from vomiting, constipation, flatulence and nausea. It is helpful for asthma, bronchitis, cough, sinus and catarrh. It treats insomnia, bad breathe and dandruff. Massage with the mixture of coconut, sweet almond and spearmint oil to clear congestion as well as to provide relief from muscular pain. It could be added to toothbrush for the fresh breath and healthy gums. Add it to drink, dessert, entrée or salad for enhancing digestion. An upset stomach could be cured by adding 1 to 2 drops to water. 1 to 4 drops of Spearmint oil could be added to a pitcher of ice tea for enhancing the flavor. It should be diluted before using in skin. Use it under an expert supervision. Pregnant women should avoid the use of Spearmint oil as it could stimulate estrogen production and lead to miscarriage. It provides relief from pains and aches. It could cause irritation to the skin and eyes. It could irritate respiratory tract if inhaled and gastrointestinal tract if ingested. Sensitive people or the people who are allergic to Spearmint should avoid it. It causes heartburn and skin rashes when used in excessive amounts. It is used to add flavor to mouthwash, toothpaste, candy and ice cream. 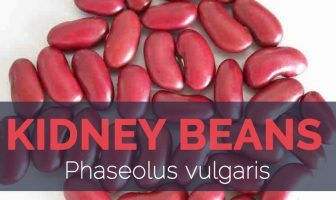 It was used by Ancient Greeks to treat sexually transmitted diseases as well as infections. Washington was regarded as the world’s largest producer of Spearmint oil. Native Spearmint is native to Europe and Asia (Himalayas, Middle east and China). It is naturalized in parts of Western and Northern Africa, South America and North America.